Our full-service, turn-key management offering takes advantage of the most powerful platform in golf that BCG has built and refined over the past 30 years. Driven by the collaboration of our corporate team and on-site professionals, innovative programs and original events ensure memorable guest experiences while delivering healthy financial returns to clients. BCG Spectrum employs the full power of a renowned marketing infrastructure of high-performing team members, proven systems, economies of scale and much more. Great results don’t happen by accident. Senior management and course leaders develop and present business, marketing, and agronomic plans designed to leverage unique strengths and opportunities and achieve shared goals. 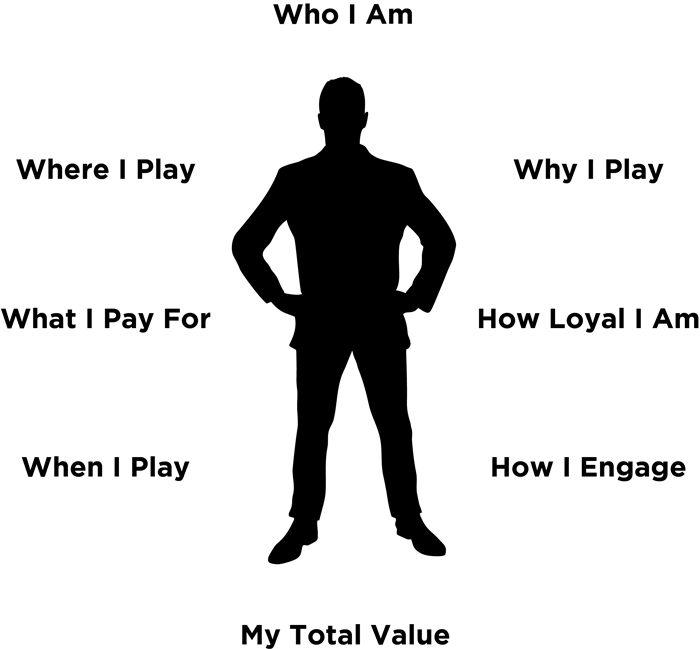 We then execute against these strategies toward top and bottom line growth. Our marketing approach is geared to impact diverse consumer behaviors at each step in his / her decision process. Our dynamic marketing platform employs a data-driven methodology that gathers insights from numerous consumer touch points including website, e-mail, mobile, social, third-party channels and call / reservation centers. Superior content, modern design and best-in-class customer service drive engagement throughout the customer journey. The platform tracks behaviors across millions of rounds and hundreds of millions of transactions resulting in the industry’s richest customer data set. This is the basis for our hyper-targeted marketing programs for each facility. Simply put, our quantitative approach results in the highest yield ratio per customer in the industry. Financial success in today’s golf world calls for more than cost-efficient operations, a beautifully maintained course and a well-stocked golf shop. It requires years of know-how, processes and programs which ensure implementation of best practices, and systems that work for the business, not the other way around. BCG course managers undergo some of the most comprehensive training in the industry, anchored by a focus on outstanding customer service. It starts with our renowned ACE Training Program for all employees, supported by hundreds of hours of continuing education and nearly 50 learning paths in our PGA-certified BCG University. The result is the most experienced operations teams in the business alongside diligent oversight ensuring accountability and results. While BCG thinks globally, we act locally. Our on-site general managers, directors of golf, sales personnel and superintendents are supported by corporate operations, marketing, sales and agronomy managers located in-market or convenient to most courses under BCG management. We study, learn and apply unique golfer behaviors, feeder geographies and cultural aspects. In no time, we are an integral part of the community, a brand name that resonates with quality. Please click tabs to the left or contact us to learn more about BCG Spectrum. Amazing customer service is the soul of BCG - it's in our DNA. We strive to delight customers with each interaction, both physical and digital gaining insights about how our customers want to receive our information. Leveraging our dynamic marketing platform, we make data-driven decisions that, when paired with inspired content and design, result in the highest performing marketing initiatives in the business. The term “Big Data” has become an excuse for firms to accumulate massive data sets. We employ a “Big Listening” approach where all data must lead to better customer service and increased revenue. Each designer, developer, engineer, marketer, analyst, writer and salesperson on our team embodies this philosophy. It’s more than just creative ideas, it’s a holistic strategy that's transforming the golf industry. The centerpiece of BCG’s marketing platform is BCG Connect, our best-in-class website hosting and development platform. Course websites are rich in content that drives visitors, inspires user engagement turning traffic into customers. Our expert team designs, develops, launches, updates and monitors each customized, high-performance website. Each is responsive across desktop, tablet and smart phones, making your business relevant to customers on the go. Furthermore, our content management system incorporates the BCG “Digital Maturity” roadmap, a 56-point website optimization approach that insures Search Engine Optimization (SEO), constant monitoring of SEM-opportunities as well as the ongoing pulse of each club’s online reputation. BCG is pioneering the golf industry’s advanced stats revolution. 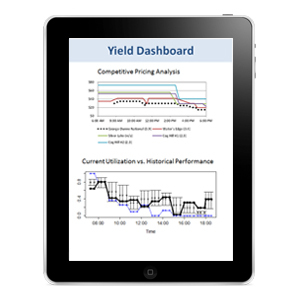 Led by experienced data scientists from telecom, aerospace and gaming industries, BCG’s analytics team develops yield optimization methodologies actively applied to each golf course. The results are market-tested programs which drive substantial year-over-year growth. Advanced metrics help develop tiered loyalty programs ranging from basic rewards to full memberships. Nearly 2% of all public rounds in the U.S. are played on BCG-managed courses, providing the ultimate laboratory for the development and implementation of sophisticated yield practices. Combining powerful, centralized data infrastructure with local know-how gives BCG managed facilities the best opportunity to maximize revenue in any given market. 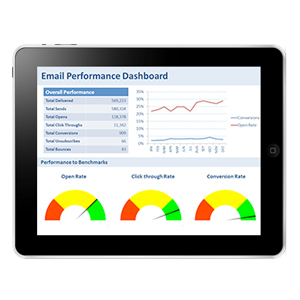 Our multi-phased e-mail marketing strategy is an ROI machine. Initially, we gather considerable information about customers, augmenting databases with our demographic, behavioral and surveyed data. The data is then shared with our advanced analytics team that utilize segmentation, analytics and past behavior to develop customized messaging and offers. With modern images from our design team, targeted calls-to-action and consistent A/B testing, we drive clicks and trigger traffic to websites and courses. Finally, we use key performance metrics to decide the right time and frequency to engage customers for high open rates, click-throughs and sales from each campaign. We continuously monitor overall traffic, revenue, open rates, click through rates, hard bounces, soft bounces and unsubscribes. BCG’s creative geniuses revel in the opportunity to be part of the next big idea. They add striking design to rich media to bring marketing campaigns and stories to life. Our team marries strategic objectives with visual assets to create eye-catching, unique collateral for each course. Our national sales team developed a proprietary system to identify ideal customers for tournament and banquet programs. Course personnel are taught this technique by our centralized lead-generation trainers. Upon identifying a prospect, he / she is engaged with messages showcasing how our events differ from the competition. We track communication via our customer relationship management system for quality control. Once a qualified lead is delivered to the course, our fully-trained professional sales team and General Managers take over, with continued support from our national sales team. We host golf outings and tournaments, charity fundraisers, banquets, weddings and a variety of social and business functions, both on and off the course. In 2014, we satisfied more than 400,000 guests nationwide, only half of whom held a golf club. Data, technology, design and support are only as good as the people on the ground who execute it. Our Regional Directors of Marketing (RDM) quarterback the BCG marketing machine. Each RDM oversees multiple clubs, providing strategic direction, an annual marketing plan, a detailed revenue “playbook” and weekly monitoring and support to help each club achieve its revenue goals. Each RDM is a member of the regional operating team and serves as the local touch point for BCG’s robust centralized support team. The result is an industry unique combination of customized brand and revenue management at scale. BCG’s agronomy teams consistently deliver outstanding course conditions within budget and a cut above in the market. We attract and retain the most skilled, business-minded turf professionals in the industry, and hire and train dedicated maintenance team members to care for the course and its guests. With a variety of courses across America and more than a thousand combined years of experience among our GCSAA-certified golf course superintendents, there’s no weather pattern, turf issue or agronomic challenge we haven’t encountered and solved. Each superintendent has access to our wealth of experience plus the latest scientific and practical agronomic knowledge for a cost-effective, beautiful and highly-marketable golf course. We deliver the most financial returns for every maintenance dollar as attention to detail and commitment to sound agronomic practices result in the extremely enjoyable guest experiences. BCGreen™, the golf industry’s leading environmental initiative, commits to preserve our planet and to manage turf in an environmentally friendly way. Every course we manage is enrolled in Audubon International’s Cooperative Sanctuary Program to reduce waste and promote efficient operations. BCG-U, an industry unique, online career development and training resource featuring more than 100 e-learning modules. Advanced staff training including sexual harassment prevention, workplace ethics, customer service and more. “Building our Buffalo” mentorship program matches employees with a senior team member to guide them in career development. A ‘Leading the Herd’ in-house newsletter highlights and maximizes growth of our regional and management staff as well as promoting innovative ideas within the golf industry. BCG’s HR team has developed a proprietary performance management system to monitor and asses job performance while also providing a platform for our employees to grow professionally. As industry leaders we are able to leverage our decades of experience to provide meaningful feedback on critical success factors and the guidance necessary for employees to reach their full potential. Our Support Office HR team will serve as the main point of contact for all questions or concerns from employees and managers. We offer a 24/7, “1-800” support line for all inquiries and assist with any concerns regarding training, motivating or developing employees. We also produce the “Buffalo Bulletin,” an in house monthly publication celebrating our employees and other exciting company news. BCG targets top universities across the country for top talent, including Professional Golf Management (PGM), sports management, hospitality, culinary and business programs. 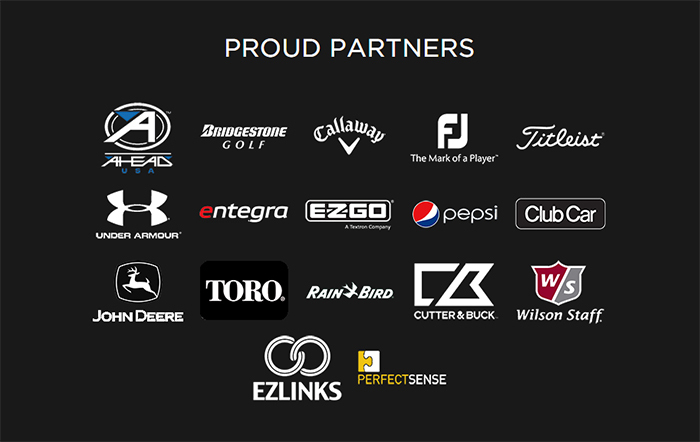 We have deep relationships and connections with industry specific organizations such as the PGA, GCSAA, LPGA and CMAA. We leverage our industry leading reputation as an employer of choice to attract business-minded, innovative professionals and natural leaders that want to be a part of the strongest operating platform in golf. BCG provides complete accounting and financial management services to assist managers in the successful operation of his/her facility. Utilizing an established system at all BCG-managed facilities we take into account any specific client needs, including the establishment and maintenance of consistent procedures for the collection, receipt and deposit of all revenues, cost estimating and reporting, maintenance and payment of invoices, and preparation of budgets and reports. As part of our regular accounting and operating procedures BCG creates and reviews daily, weekly, monthly, quarterly and annual reports including a statement of revenues and expenses, balance sheet, statement of cash flows and reconciliation of inventory. BCG provides timely reports, prepared and delivered in compliance with procedures and formats reasonably acceptable to the client and in accordance with generally accepted accounting principles. BCG also makes appropriate financial records available for client review. Accounting and payroll functions are directed by BCG’s Senior Accounting Team and who provides direct oversight of the general ledger, confirm deposits and perform auditing functions as necessary. The General Manager oversees local accounting functions on a daily basis. 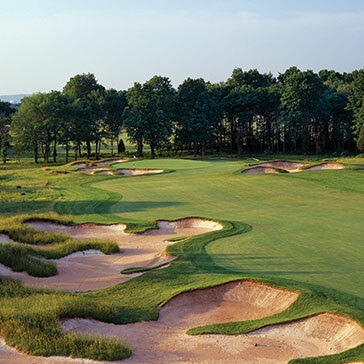 Size matters, and as America's largest golf course owner and operator, we have amassed purchasing power that leads to substantial savings for clients - without compromise to quality. Best available prices, extended terms, free and discounted fixtures and furnishings, and preferred access to special close-out and new-to-market products. This is accomplished through the national accounts team in our corporate office without resource impact at the course level. Our national accounts program includes maintenance equipment, golf carts, food and beverage goods, retail merchandise, third-party tee time providers, payroll services, operational supplies, and insurance. BCG’s food and beverage operations compliment the overall guest experience, and support the financial well-being of the course. Upscale or casual, we operate attractive and welcoming restaurants, grill rooms and quick-service counters that appeal to a wide range of guests - convenience-minded golfers to highly discerning destination diners. Each team member is trained to ACE the Guest Experience™, and then tested and coached to deliver outstanding service with every guest interaction. Most importantly, our teams remember that our guests are also our neighbors and constituents, be it in the dining room, at the counter, or on the golf course. Our guests remember their experience and our service and are eager to return for another dining experience each time they visit our facilities. BCG’s Marketing Technology Team works closely with General Managers and Marketing Teams to install and implement all appropriate modules, provide training to facility staff on effective use of said modules, manage relationships with software and hardware vendors, and establish and communicate ‘best practices’ learned from BCG’s most successful facilities. Your business is in expert hands with BCG’s Business Services. Our accounting managers and operations teams ensure accuracy and security with well-established, sound controls and procedures. Our IT Solutions back it up with established security measures and state-of-the-art data warehousing to help you achieve desired results. BCG helps its managed courses increase revenue and demand by achieving greater recognition within targeted media. Our courses receive extraordinary coverage, both locally and nationally. And that’s not by accident. A highly dedicated team works closely with General Managers and marketing experts to develop timely, informative and professionally-written press releases and announcements. With years of experience and deep connections, BCG is home to one of the golf industry’s most trusted and formidable publicity teams. BCG delivers well-positioned publicity in major national and regional media (from print to electronic, to newspapers and magazines) increasing interest from golfers and non-golfers alike.